YOUR CHICKENS NEED TO GET OUT! No matter how large you build your run/coop, your girls need to get out. 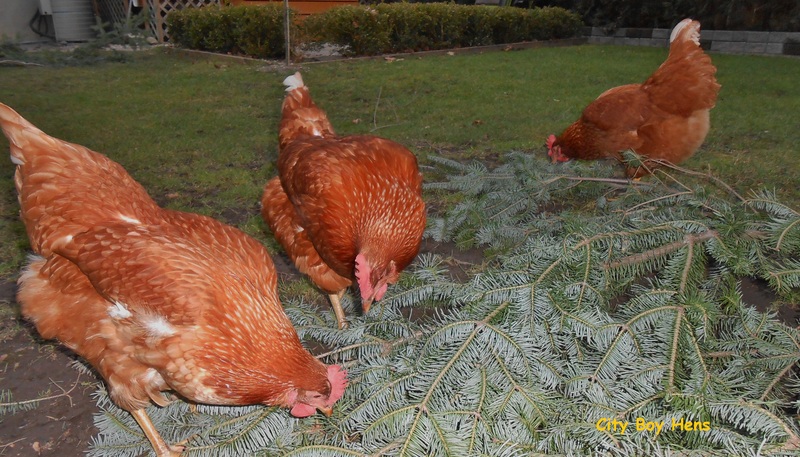 Chickens love to forage for food. They are hard-wired to do so. They need to peck and scratch. If you can’t allow them to do so, it’s best that you don’t get chickens. When I come home from work, I try to always let my hens out for at least a few hours. During that time, they NEVER stop looking for food. 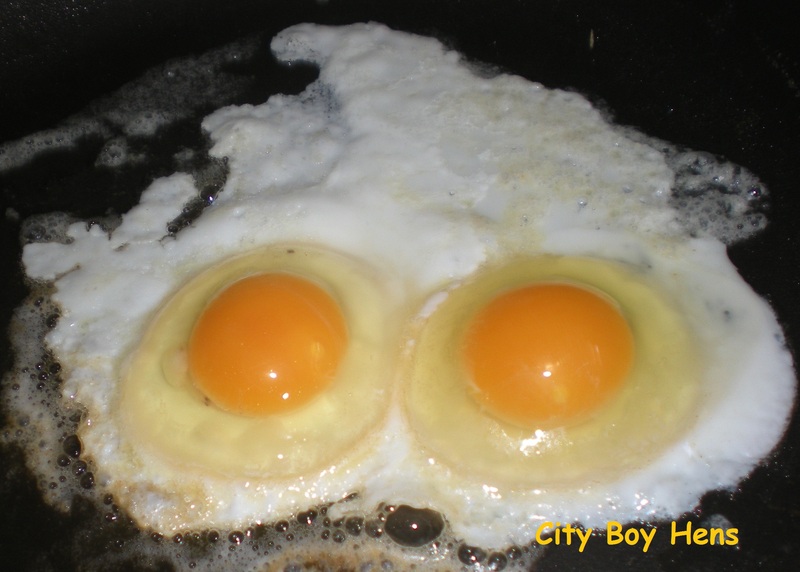 The benefit of doing so allow your girls to do what they are wired to do and gives them the opportunity to exercise, eat bugs, weeds and grass, which, in turn, helps to provide for brighter and richer yolks. Honda’s first 2 eggs! Ya.. I know..but I was really proud! While out, your chickens will also help to fertilize your lawn and decrease the poop load in the run/coop. Chicken poop is high in nitrogen, phosphorus and potash which will help you maintain a chemical free and healthy lawn. Winter, on the other hand, can make free ranging more difficult. 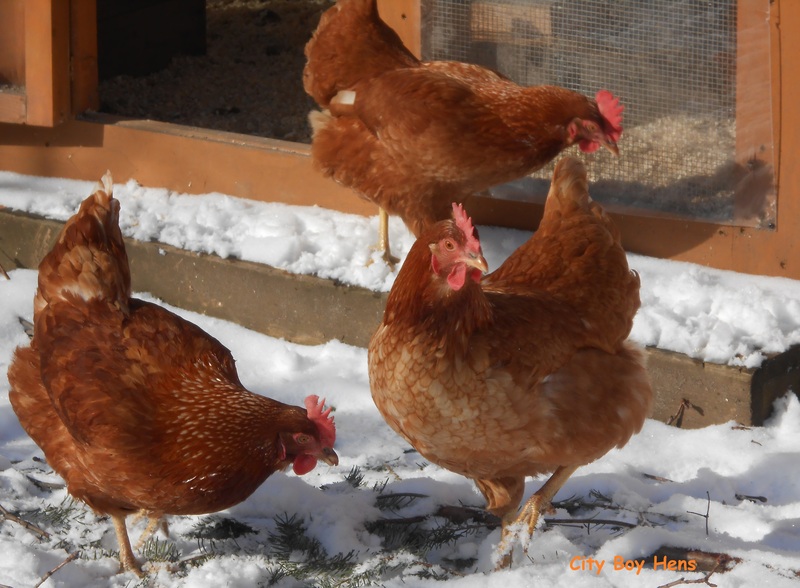 Shorter days and colder temperatures result in free ranging that is mostly limited to the weekends……that is if the chickens DECIDE to come out! Not venturing too far from home! With that said, unsupervised free ranging can lead to injury or death from predators. Averted Hawk Attack. Look in the center of the photo. When my hens were pullets, I almost lost Swiffer to a cat and Rosie narrowly escaped an owl attack this past fall. Thankfully, my wife had just come out to the back deck as the owl descended. Her panicked scream averted a near hit. Raccoons have also been an issue on our property, but Stanley, our Yellow Lab, makes for great security and reminds these predators that they too are also prey. ALWAYS REMEMBER that a high number of predator attacks take place near or at dusk . This is DEFINITELY NOT a time that I would allow unsupervised free-ranging of my hens. You’ll have to find out what works for you. 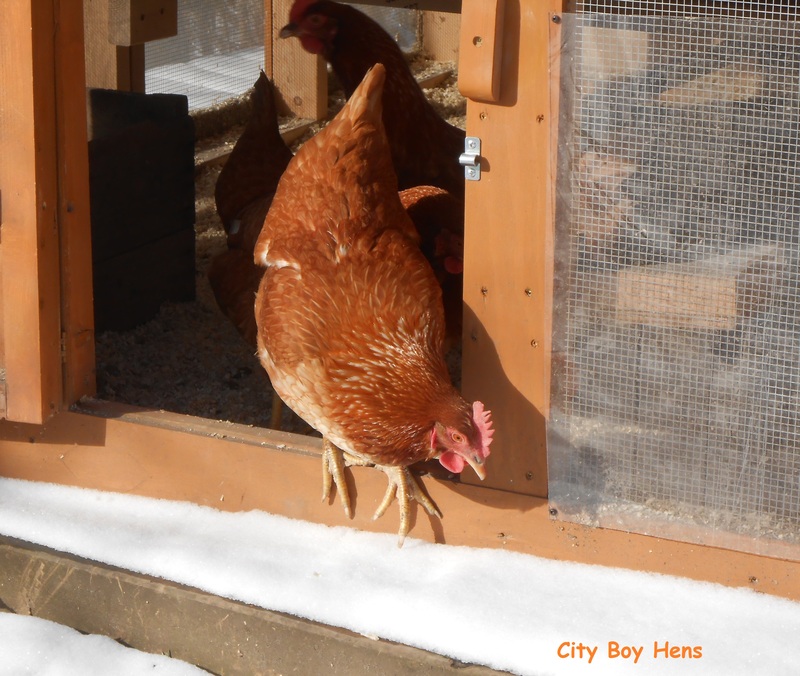 Keeping hens will not be enjoyable if you feel that you are bound to these “obligations”. As well, you will not love keeping hens if you are constantly worrying about them. I’m still trying to work through this process! I tend to worry a lot. What I have found that works, is using the hours of free ranging as a time to do chores in the backyard. Before chickens, I accomplished most of my chores on the weekend. Now I spread them out during the week and get the opportunity to watching my chicken’s antics on a daily basis. You’ll also be surprised at how great your backyard evolves as you find things to do during those hours! But, free ranging can also be an opportunity for you to rest and relax. During the warmer months, my wife and I will sit back on the deck and catch up on the day’s events while the hens peck and forage. Even at the cottage, during the lazy days of summer, I find that my kids will even pull up a chair and shoot the breeze with us as we watch “the girls”. Who would have thought that chickens could provide an excellent avenue for continued communication with the ones that you love! Dad, kids and “the girls” at the cottage. I also enjoy my chickens in solitude. I find their behavior to be extremely amusing while evoking a sense of calm and relaxation. Believe it or not, they can also be quite affectionate. 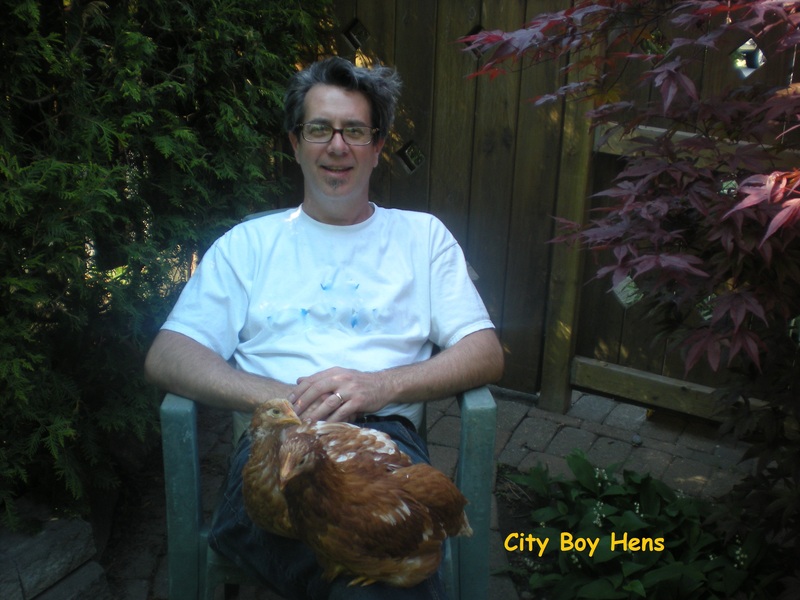 Many times I have had a chicken jump on to my lap or shoulder and settle down for a rest with me in the backyard. I too, would have never believed this before I raised chickens. Thanks so much for this post! We’ve just started to let our back yard chickens forage for a little bit each day – prior to this, we were afraid they would run all over the neighborhood. 🙂 We’re getting more brave. But you’re right – they’re fun to watch! Thanks for your comments. Best of success with your FREE RANGING flock! Great post! Thanks for linking up to From the Farm Blog Hop. We believe in supervised free range also – we DO do it about an hour or two before dark so the hens head back to the coop on their own, but we stay outside with them and have two dogs out there as well with them. Thanks for your comments. You have a great blog! Thanks for the opportunity at the Farm Blog Hop. We’ll PIN and share your post on facebook. From The Farm Blog Hop Co-Host. 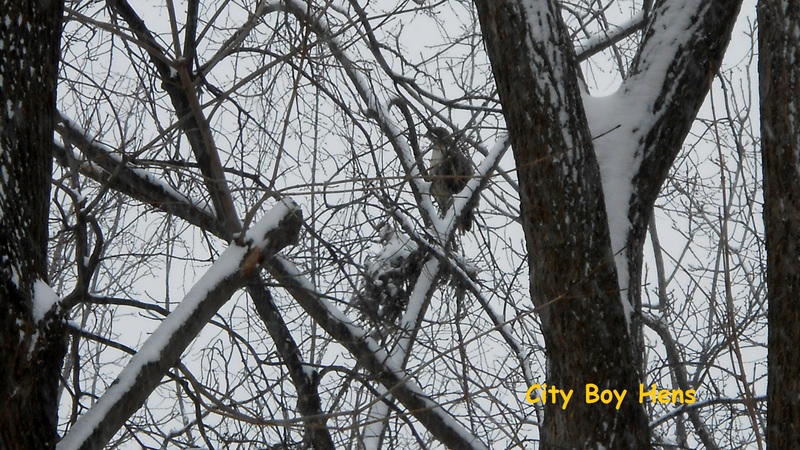 Thanks so much for selecting City Boy Hens for one of the features this week! A huge feather in my cap! Thanks for your comments. Best of success with your chickens! Those egg producers make the best exterminators! Do you have a coop at your cottage as well? I made a chicken ark for the cottage. It works well.